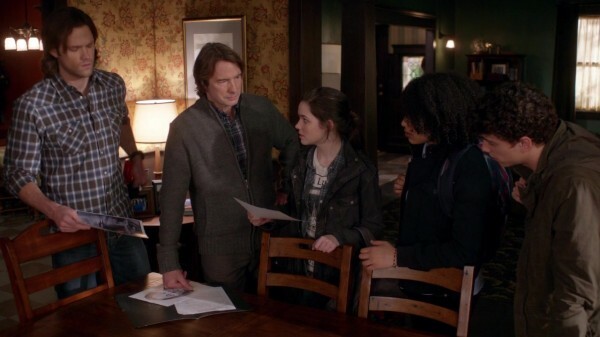 A young hunter returns and we get to compare how crappy Dean and Sam’s lives are to what they might have been. Surprisingly, for an episode focused on a secondary character, the storyline relates more to the Winchesters than I expected. And it also brings up some old, repeated character motivations that I wish would fade into oblivion. One step forward and two steps back, it seems. So, the meat of the episode was focused on the return of Krissy Chambers. We first met her in the Season 7 episode “Adventures in Babysitting.” She was sassy and able to take care of herself, a fine hunter in the making. And she also got Dean to open up more about those few years he spent away from Sam. The two seemed well-matched, so it was exciting to hear that she would return. When she did so, we found out that her life didn’t turn out quite as happy as Dean had hoped. While she and her dad, Lee, tried to get out of the hunting life, it’s not quite so easy when supernatural creatures come hunting you. Krissy’s mom was already killed by a monster, which is what got her dad into hunting in the first place. Now, Lee’s gone as well after being killed by a vampire. Krissy’s an orphan, bent on avenging her father’s death, but she’s not alone. She and two other kids orphaned by vampire attacks on their families have been taken in by a hunter named Victor Rogers. He is seeking to give them a better life than he had, than Dean and Sam had, by providing a balance of normality and hunting to these children. They can still train and take down monsters, but they will also have the opportunity to go to school and achieve academic success. Sounds too good to be true. Oh, wait, it is. What this episode set up was the long and repeated debate that Sam and Dean have had all their lives. Sam keeps holding onto the hope of normality and Dean keeps pointing out that hunting and normal lives can never intermix. 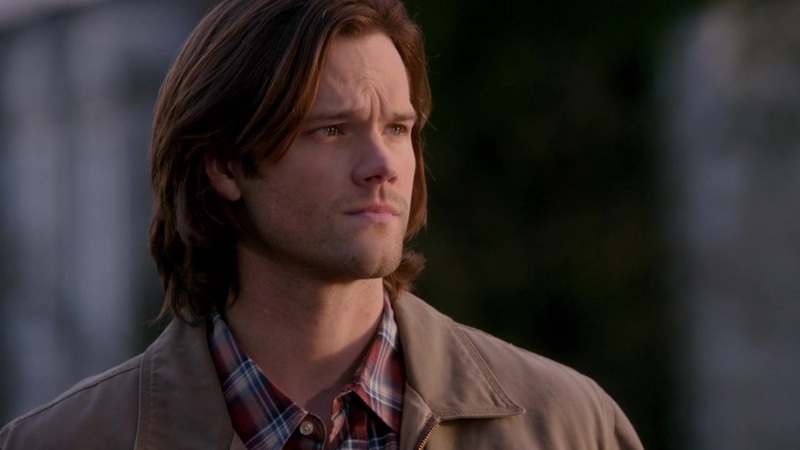 What starts off as support for Sam’s side of things turns into a glaring example of why Dean’s right in this case. Yes, Victor was giving these kids a sense of home and normality, but he was also the reason they got into the situation in the first place. They were prime material for the next generation of hunters, yet they needed a little nudge in that direction, so Victor ordered their families killed. What he saw as taking steps for the greater good was, in actuality, a destruction of three lives. Maybe they would have gotten into hunting anyway. I know Krissy had the skills and mindset to do it. Yet, they weren’t given a choice because they were thrust into it by a man who was so misguided by grief that he was recreating a family of his own. It’s a sad situation all around. What is also sad, to me, is that we keep having Sam’s characterization take a step forward and two steps back on the topic of wanting a normal life. To be honest, I’m growing a bit tired of his constant motivation of recapturing that dream from long ago. Look, I get it. When Sam was eighteen, he just wanted to be normal. He got a full ride to college, he had a loving girlfriend, and he was seemingly out of the hunting life. Go him. But we know how that turned out. 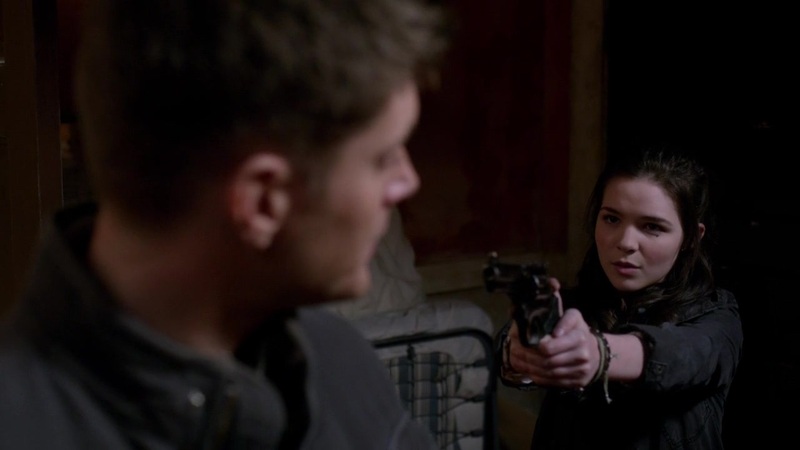 Hunting isn’t something you can just walk away from, especially if you’re Sam and Dean Winchester. Not only were they raised in this life, but they were predestined to play larger roles in the world’s battles. 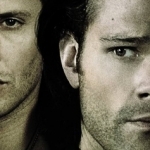 Archangels and Lucifer, Hunters and Men of Letters, this is their legacy. As the years have gone by and more crap has been piled on Sam and Dean, it’s felt like Sam accepted that he couldn’t recapture that dream of youth. Instead, he owned up to who he was, what he was, and made the best of what he had. And it’s not a horrible life to have, especially now. 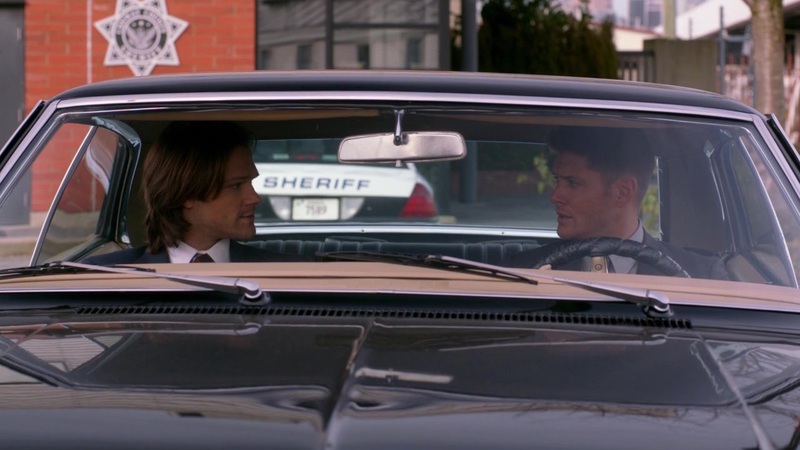 Whereas before he only had Dean and the car, the only two permanent things in his life, now they have a home base. They have a future together, filled with legacies and a library containing a wealth of untapped knowledge. Dean has grabbed onto that with both hands, and I thought Sam had as well, but his comments this week made it seem like all that forward movement was a lie. Yeah, he seems over the moon to bury himself in old books, have Dean cook for him, and know that he has his own room where he can settle into. But all that is apparently not enough. Instead, he wants to break free of hunting for good and just have a normal life that isn’t filled with monsters or destinies or apparently even his brother. Right now that constant push for the impossible dream feels like he’s turning his back on Dean and the life they’ve built together. For every step forward I think Sam’s making in accepting his life and being happy with what he has, we get the random reminder that “oh, no, what I really want is to walk away from all this.” It’s sad, and I think it’s doing a disservice to his character to have him still holding onto this impossible creation of what it would take to make him happy. They have a home now, a renewed future. Why can’t Sam see the good side in that?